This painting is inspired by the work of my mentor Br. Robert Lentz, OFM. In the early 80’s, Br. 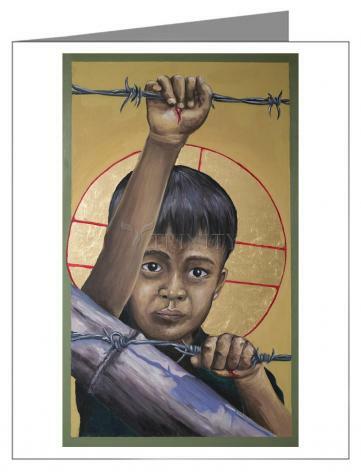 Robert painted an icon called “Christ of Maryknoll” depicting Christ as an immigrant behind barbed wires. I was moved to paint a version for today’s society, depicting Jesus as a defenseless migrant child.